Lacoste has been promoting their watches lately. You can find them at their online store. I’m a big fan of their Black and Blue Montreal watch, and I’m probably going to pick one up soon. The plain Montreal Black watch is pretty nice also. Overall, though, I think the line has too many plasticy watches. 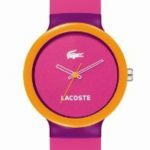 If Lacoste is serious about being a luxury brand, they need to consider whether some of these watches really reflect that. 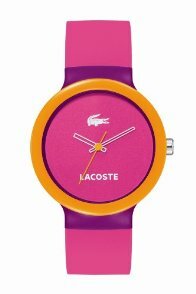 This entry was posted in Acessories, Lacoste, Watches by JFP. Bookmark the permalink.